When Placing All Bets on You… Pays Off. Cheryl Wood had an unsettling, gnawing within her and she realized that she possessed an untapped potential, a unique gift, a higher purpose within herself. What better strategy to utilize to inspire others than to share the very resources that you implemented to encourage yourself? 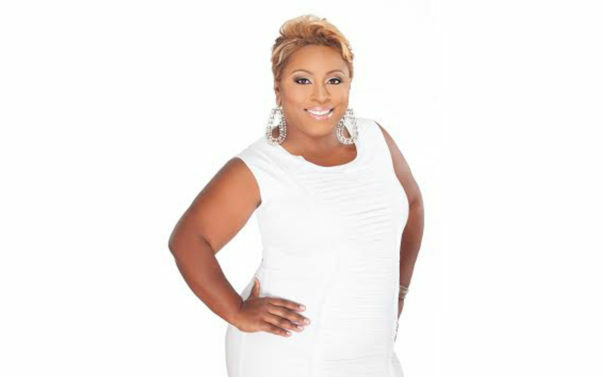 Once a legal secretary now recognized as an award-winning international motivational speaker, author, coach, and entrepreneur, Ms. Wood is also a mother, wife, sister, daughter, friend, and a compelling thought-leader. Cheryl embodies a staunch passion for supporting the personal development and economic empowerment of women globally. Cheryl’s avid supporters have witnessed her growth and evolution as a dynamic business woman and powerhouse. What prompted your transition from your previous job/career/venture into what you are currently doing? How did you decide that you were ready to take a leap of faith to change your path? CW: When I became a mother to my three beautiful children (after years of suffering from infertility), all of my priorities in life shifted. I began having a craving for 3 core freedoms: Time freedom, Financial freedom, and Creative freedom. And, unfortunately, I was not experiencing that in my corporate career. So, I decided to take matters into my own hands. I figured it was time to place all bets on me. I started to reason with myself that if I was donating 40 hours every week to help build somebody else’s dream, that I could do the same for myself and succeed. But the final push into taking the leap was that my father passed away on Thanksgiving Day of 2009. That was the first call I woke up to that morning. He was only 59-years old and passed of a massive heart attack in his sleep. I was in shock! It created a heightened sense of urgency for me to truly LIVE life, not just exist in it. I began pouring myself into my business, making more sacrifice and making less excuses. And, ultimately, I hit a fork in the road where my business venture was interfering with my corporate job. So, I had to decide. And, no, everything was not perfectly aligned, but I took the leap anyway because I believe if you’re waiting for perfection you will never leap. How did you discover your calling/purpose? How did realize that you are doing what you were meant to do? CW: My calling and purpose found me simply because I got started. I started a small mommy t-shirt business in 2009 because I had a desire to find a replacement career for my corporate job as a legal secretary and I knew I had to interrupt my norm. It wasn’t that I believed the t-shirt business was going to usher me into this new life I desired, but I was willing to start somewhere and figure it out along the way. And that’s exactly what happened. I kept my corporate job while I sold t-shirts at vending events on the weekends and approximately 18-months later I got my very first request to speak at a women’s conference at Morgan State University to teach other mothers how to start their own businesses (based on my mommy t-shirt business). It was on September 18, 2010, and that was the day I discovered that I was BORN TO SPEAK! I was nervous and anxious and felt totally unqualified to be the expert teaching at the front of the room, but I made the decision to accept the opportunity anyway. And I had never experienced that type of satisfaction and internal fulfillment from any other career I had embarked upon. So, in that very moment I knew that was my calling. And, as they say, the rest is history. What experience(s) have you overcome that you feel that could have destroyed you, but instead, you were elevated because you survived it? CW: That internal feeling of not believing I was worthy. For such a long time I doubted whether or not I could become an internationally recognized and sought-after speaker because of my background – I was raised in poverty, was the product of a single-parent household, and I had no college degree. I thought to myself, how can you possibly succeed? But I started working on shifting my mindset and monitoring my words, my thoughts, and my beliefs because I learned that “whatever you focus on is what expands.” I started focusing on positive, uplifting, empowering beliefs instead of negative, self-limiting beliefs. How do you wish for your story/work to impact others? What difference(s) are you striving to make? CW: I want people to believe in themselves to the fullest because of my story. I want them to say, “if she could do it so can I” and to stubbornly pursue their dreams without hesitation or letup. I want women to know that they have everything it takes to win big in their lives and that nothing can stop them once they get out of their own way especially as it relates to fear, doubt, and self-limits. Cheryl Wood: I’ve always been a motivator to help other people become better in some aspect of their lives, but most people don’t know I used to motivate others physically as a certified personal trainer. I provided personal training services at a reputable gym in Washington, DC as well as had a host of individual clients who I trained at their offices and homes. Now, through my professional speaking and coaching, I still motivate people but it’s mentally to help them face their fears and get out of their own way of achieving their biggest dreams. CW: My biggest inspiration personally is my mother. My biggest inspiration professionally is my business coach Lisa Nichols. CW: I love speaking above everything else that I do in my business. There’s something so internally fulfilling to know I’m hitting a cord with someone based on the power of the right words at the right time. I love speaking to women and seeing that look in their eyes when the light bulb has come on because of something I said or because I shared my story and that woman is going to develop the confidence and belief to go out and execute because of it. That feeling is priceless! If you had to choose only (1) word to accurately describe you right now, in this present moment, what would it be? What is next for you? Are there any projects or additional pertinent projects that you have that you would like to share? CW: I will be spearheading a powerful new initiative called A Woman’s Narrative this year, which will consist of a host of platforms for women to share their stories. We will kick-off the first LIVE event on October 20, 2018 in the DMV region with 15 women sharing their stories by means of a 15-minute “Purpose Talk.”My intention is to consistently create these platforms all across the globe because I understand the power and impact of a woman sharing her story. How can we find you or learn more about how we can support your projects? CW: My website is www.CherylEmpowers.com and my social media handle on Facebook, Instagram, Twitter, and LinkedIn is @CherylEmpowers.